PORTB = 0x3;                    // attention! Is it plugged in? Is it wired correctly? Have you tried using the built-in debugger? I recommend to read and post (a link to) the display datasheet. Then use a voltmeter to check the supply and contrast voltages. ..then the digital data signals. Be careful how you write to the PORT on these chips that do NOT have LAT registers - looking at some of the sequences you have, you are opening yourself up to the RMW problem. IF that is the case then the LCD controller will not be getting the signals that you think it is. For example, you load the bottom nibble of PORTB and toggle RB4 in consecutive instructions - if there is any loading on on any of the pins then the RMW operation on the port can change the bit values. You are better off to create a shadow register that you update and then write that to PORTB as a whole value. 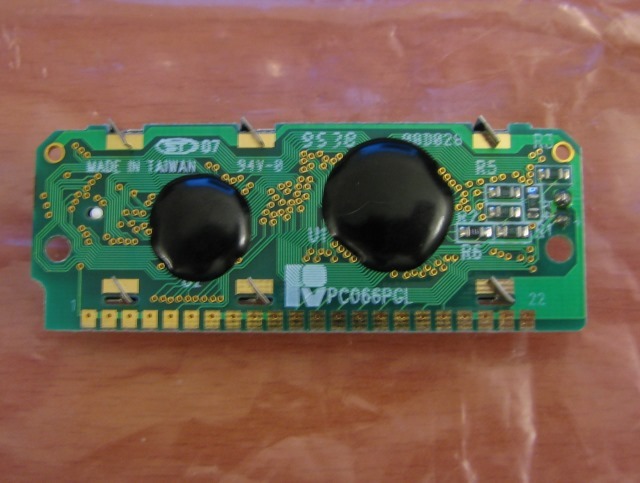 A quick look on the Internet shows that the LCD controller is supposed to be a 'standard' Hitachi (I'm guessing HD44780 but only in 4-bit more). If that is the case then the timing of the initialisaiton sequence is critical. However looking at your code, you would seem to be OK (except for an excessively long delay in 'lcd_write()'). If the device has a 'contrast' pin, then turn up the voltage on that until you get all of the character locations showing as faint blocks of dots and then back it off a little. If the contract is down too low then it is possible the characters are there but just not showing - setting the contract level as I've mentioned should make then visible. Check the LCD controller datasheet about timming specifications. are my EN,Rs connections right? If the contrast voltage is set to maximum, does that mean high contrast (in which case all you will see are all of the dots lit up in the character squares) or low contract (in which case you will see nothing). You need to adjust the contrast as I described to make sure that you will be able to see the characters when they are displayed. Looking at an HD44780 data sheet, the *minimum* pulse width of the 'E' pin should be 230nS with a 5V Vcc but that extends to 450nS for lower supply voltages. Personally I would be looking for 500nS minimum to be safe. You can achieve that by putting at least 3 (preferably 4 to be safe) NOPs between raising and lowering the pin. I assume there is a timing problem..
--> I see no other chance than to take the datasheet and compare each specification item by itmem with your application. It begins with applying voltage --> check when the supply voltage is valid --> check time until you send the first instruction. ;It begins with applying voltage --> check when the supply voltage is valid --> check time until you send the first instruction. I can´t anwer this. I don´t have a PC066GL in my hands. And I don´t know whther there is a HD44780 assembled and whether there is additional circuitry that "modifies" the specification. --> Don´t buy parts they don´t come with a datasheet. Otherwise it´s your own risk if it does not work like you expect. The given recommendation makes sense only with the specification of the datasheet. Based on the display number, this is probably a display using a Samsung KS0066U instead of a HD44780 but they are almost identical. Get hold of the KS0066 data sheet to look for timing differences just in case. What do you mean by that? Show us a picture of the display and tell us what you think it should be showing. 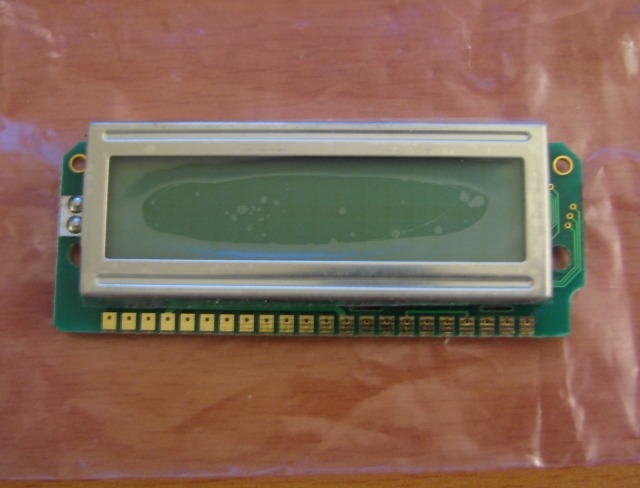 I think we all know what an LCD module looks like. I meant a picture of the characters on the display when the program isn't working and what you expected it to show. Please post images directly on Edaboard, if you use external links we have no guarantee where they go or if the image has been removed. and what you expected it to show. Where can we find "what you expected to be printed on the LCD"? The electronics around the contrast setting is obviously working properly so it comes down to a software error. It does seem to be at least partially initializing the LCD or it wouldn't display anything so I would guess you are looking at a timing issue. I am hoping you have noted the previous comments about RMW and timing. Please post your present code so we can look again.